Via Farms has been in business for over 25 years raising Tennessee Walking Horses. Our specialty is Smooth-Gaited Buckskin Tennessee Walking Horses. With years of experience in breeding Buckskin Tennessee Walking Horses, you will find high quality, well-bred mares with buckskin foals by their side. Via Farms is located in far west Kentucky. The farm operation consists of 85 mares, stallions, foals, and trained horses, all Tennessee Walking Horses with papers. Our horses are for sale at competitive prices. 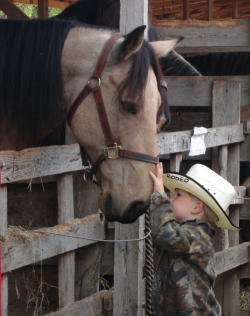 A professional trainer is on site who can start and finish your colts and fix problem horses. Our specialty is buckskin Tennessee Walking Horses. 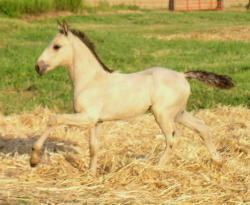 Other foal colors available on our farm include palomino, sorrel, white, black, bay, perlino, cremello, and tobianos. Some of our brood mares are for sale. More information is provided on the following pages of this website.